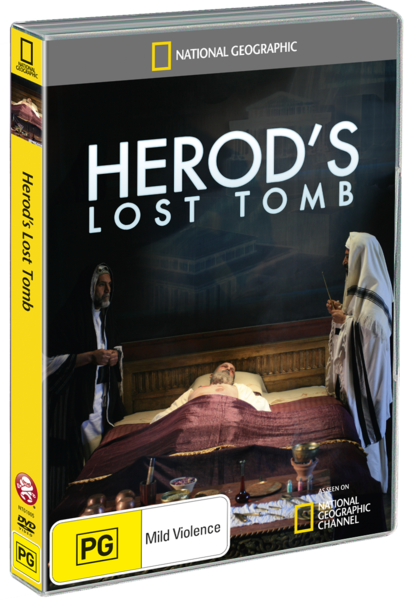 Herod’s Lost Tomb tackles a mildly interesting topic. Obviously, it deals with King Herod of New Testament fame. Herod was an eccentric historical figure who wielded immense power in all sorts of strange and impressive ways. While many of his architectural triumphs are well understood and documented, the location of his tomb has never been determined. This documentary deals with its discovery. Documentaries are about real things. They’re set in the real world. The reality of the events that they portray, and the reality with which those events are portrayed, are two of the best things about documentaries. Unfortunately, latter day National Geographic documentaries often miss this point. As a result, we get a documentary that mixes interesting archaeological footage with painfully artificial re-enactment footage and a male voiceover who almost certainly makes his real money by doing trailers for action films. This is not a documentary that demands a lot from its audience. Most of the interviews are very short, and the narration reduces all the information to sound-bites and spoon-feeds them to you in gloriously overcooked tones. The re-enactments are as you’d expect: superfluous, cringe-worthy, and boring. Luckily, the story of Herod is innately remarkable. The documentary provides various visual representations of his architectural triumphs which are borderline fascinating. The cinematography, in particular the shots of the Wailing Wall, is beautiful. There are a couple of folklore-ish stories about his life which smack of sensationalism, but only a little. The interviews are acceptable, even if they do stay very much on the surface. All these good features make it doubly sad that the offensive aspects of the documentary encourage the viewer to tune right out. Perhaps unsurprisingly, the feature at the centre of the documentary (his tomb) is actually among the least interesting things detailed in it. We’re talking about a man who built – or caused to be built – a three-tiered suspended palace, water cisterns that could hold 40000 cubic litres, complex underwater concrete structures that were centuries ahead of their time, and many other wonders. With this context, it’s difficult to be all that amazed by the pieces of smashed pottery that allegedly came from his tomb. No matter how much choral music you pour on top of it, no matter how many times you use the word “staggering”, the architecture utterly overshadows the quest around which the film centres. The special features include another documentary - Inside Jerusalem’s Holiest Places. How is it? You tell me. I couldn’t stomach any more of the narrator, and turned it off as soon as his voice reappeared. I felt like I’d done my time.